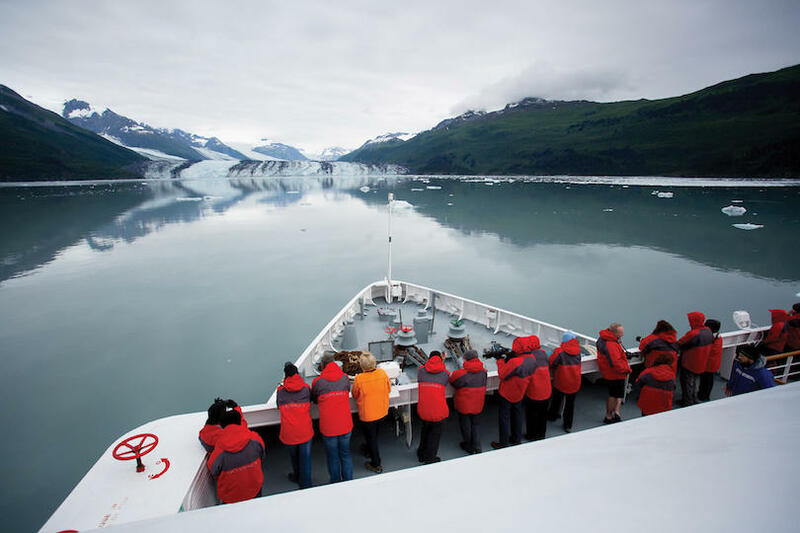 Interested in Sailing with Silversea? Traveling to Asia’s mystical lands can be as overwhelming as it is intriguing, but AFAR knows that there is a solution if you are looking for help navigating all that the continent offers. On these Silversea cruises, some of AFAR’s favorites in the region, you’ll have a chance to unlock the mysteries of Asia in the utmost comfort. 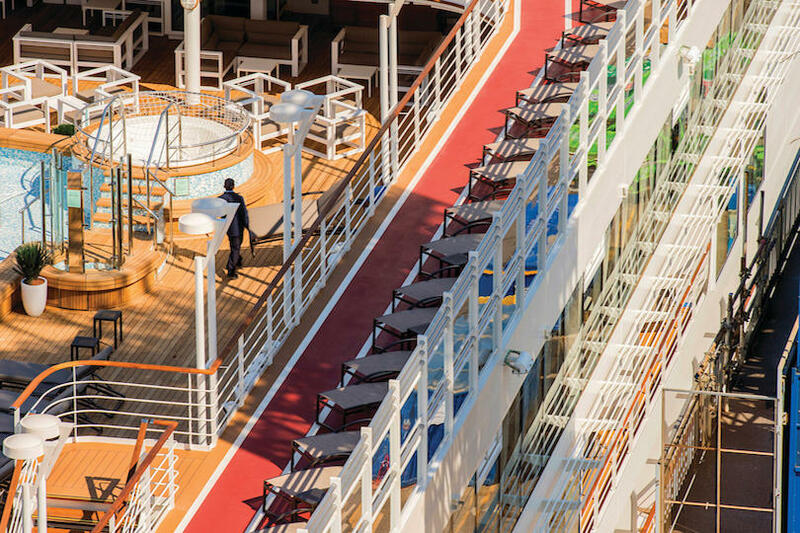 Aboard these small, luxury ships you’ll call at fabled ports and be surrounded by a highly adept staff dedicated to fulfilling your every whim. This is far more than a vacation; it’s more than bustling markets and powdery beaches. With Silversea, you’ll experience the wonders that have drawn travelers here for centuries, the gleam of towering skyscrapers, and the canopies of verdant jungles. This is the root of discovery, the pure essence of Asia—all woven together with the ease of an all-inclusive lifestyle. 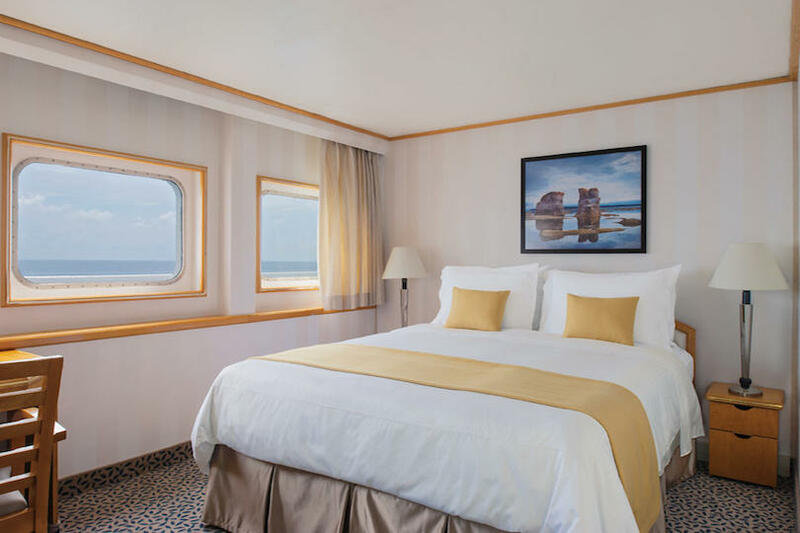 The voyages featured here come at an unbeatable value, as we are delighted to offer you these current savings opportunities. Hear the roar of the red dragon in China. 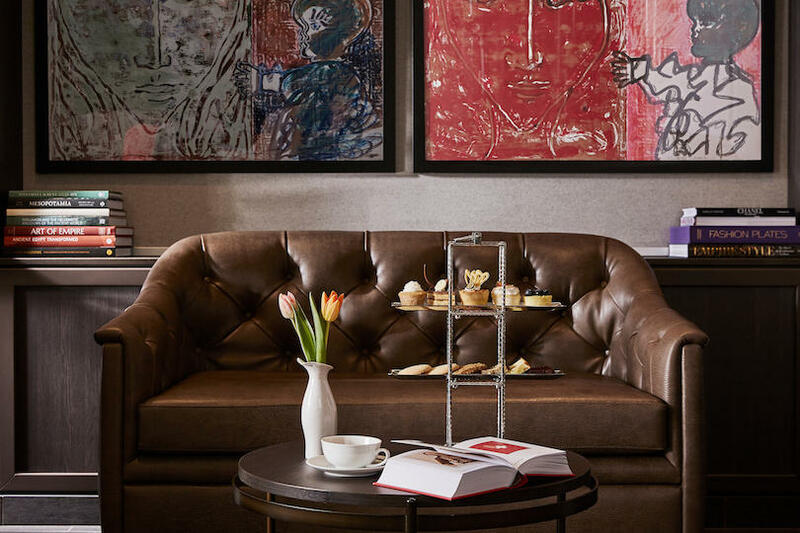 Experience the daily rituals and admire the country’s painterly landscapes. You can visit the Longsheng Rice Terrace nestled in the karst hills, beautiful pagodas, fascinating caves, and rivers where fishermen use trained cormorants to bring back their daily catch. From the picturesque gardens of Suzhou to the Forbidden City in Beijing, you’ll rediscover the magic of travel on a Silversea cruise to China. 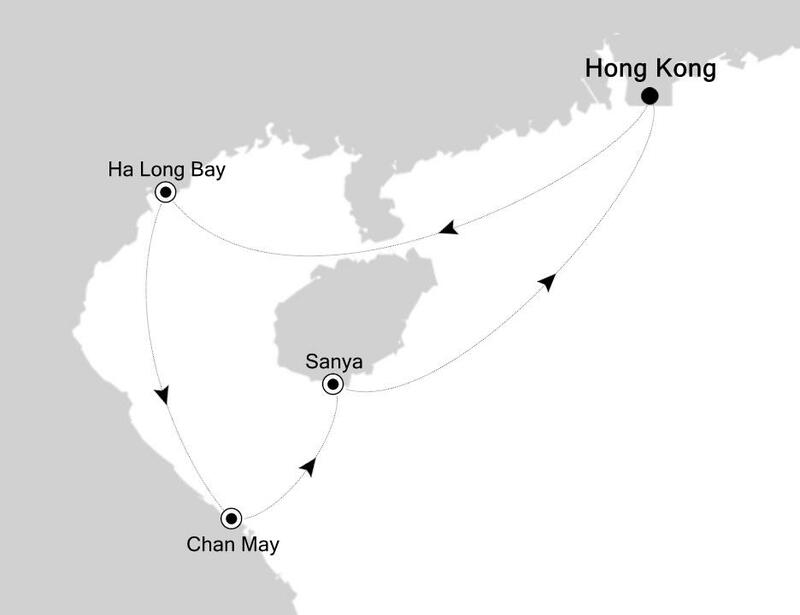 The most important holiday in many Asian calendars, the lunar New Year is that much more spectacular when experienced in China—one of the highlights of this seven-day cruise that begins and ends in Hong Kong. Bright colors, flowers, smiles, and joy are in abundance, while streets and shops are decorated to ensure luck for the coming year. A bucket-list must for any traveler truly who wishes to live an experience like no other. The cruise calls at Sanya, on Hainan Island. From once being considered the “end of the world” during the Qin Dynasty to playing a central role for the Japanese fleet during World War II, the port has a long, complicated, and fascinating history. 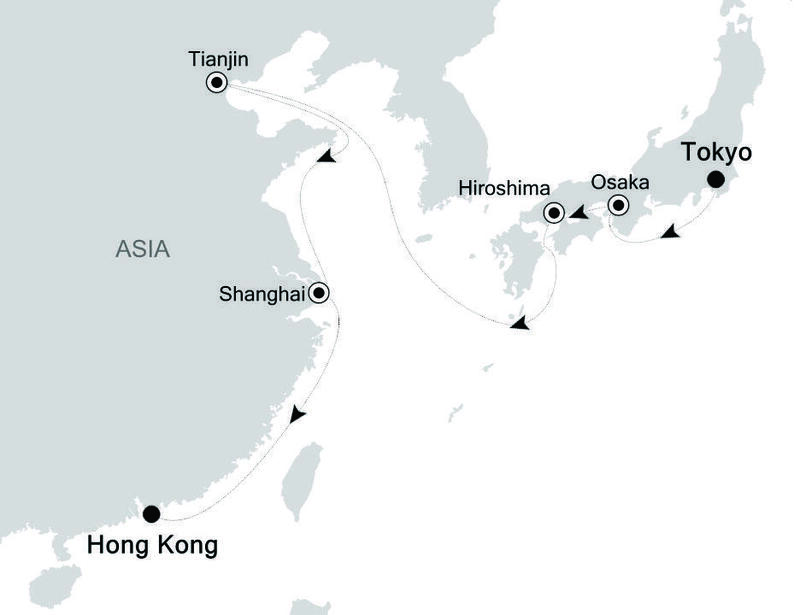 This Asian Collection cruise includes three of the continent’s most legendary cities—it starts in Hong Kong, ends in Tokyo, and calls at Shanghai. One of China’s most dynamic and historic cities, Shanghai has to be seen to be believed. Centuries-old neighborhoods and the famous French Concession sit alongside some of the world’s tallest skyscrapers. 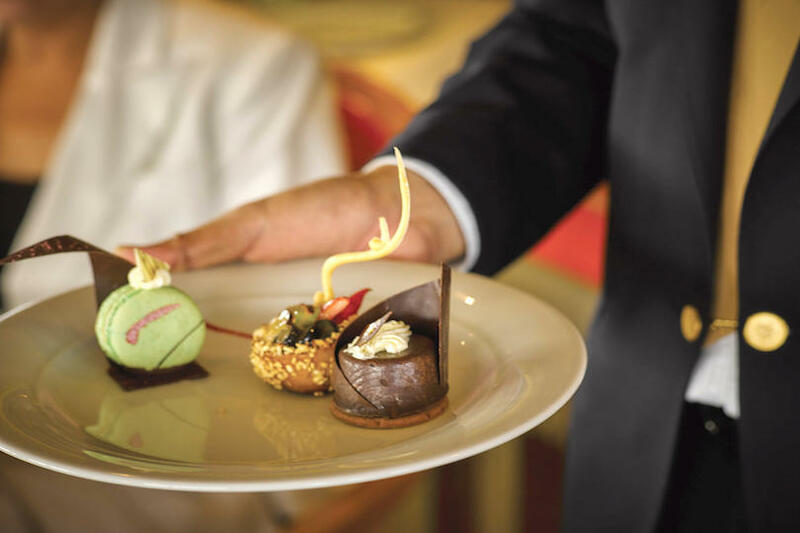 With destination experts from the team at the Peninsula Hotels, you can expect wonderful experiences and unforgettable memories. The most iconic sight in Yangon (Rangoon), the capital of Burma (Myanmar), is unquestionably the enormous gilded Shwedagon Pagoda, but what makes the city most fascinating is its rich, vibrant life that spills out of people’s homes and onto the streets. Colorful and chaotic, it is a feast for the senses. Grinning uniformed schoolchildren and preadolescent monks vie for sidewalk space as vendors hawk fried goods and businessmen wearing longyi go off to work. On a street of Indian-run paint shops sits the country’s only synagogue, a 19th-century relic; blocks away rise the steeples of St. Mary’s Cathedral, another reminder of the city’s colonial past. Explore the highlights of four countries on this 12-day cruise which visits temples, towering skyscrapers, and breathtakingly beautiful beaches in Singapore, Malaysia, Thailand, and Burma (Myanmar). 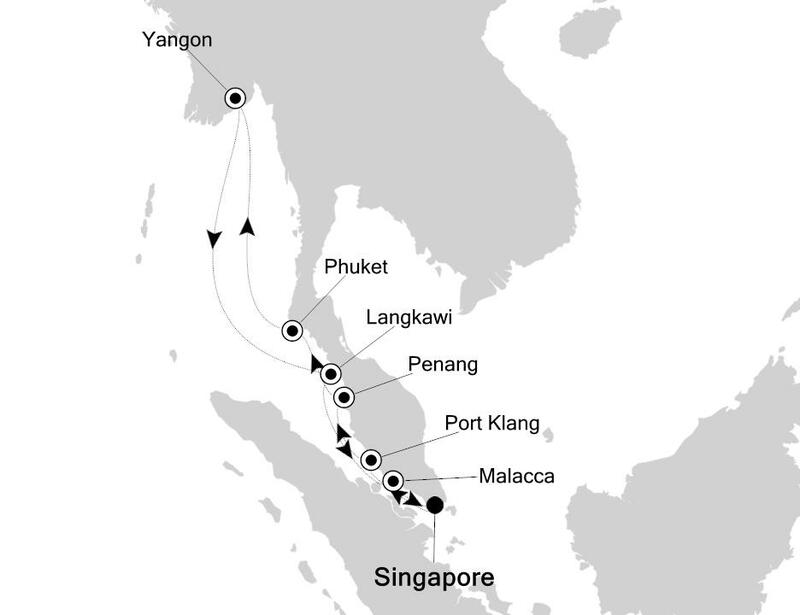 You’ll start in Singapore and then sail along the Malay Peninsula. In Kuala Lumpur, you’ll see the iconic Petronas Towers rocketing skywards while in Penang you can wander the historic streets of Old Georgetown, a UNESCO World Heritage Site. After visiting the island paradise of Phuket in Thailand, you’ll continue to Rangoon (Yangon), where the extraordinary golden Shwedagon temple awaits, glowing under the tropical sun. 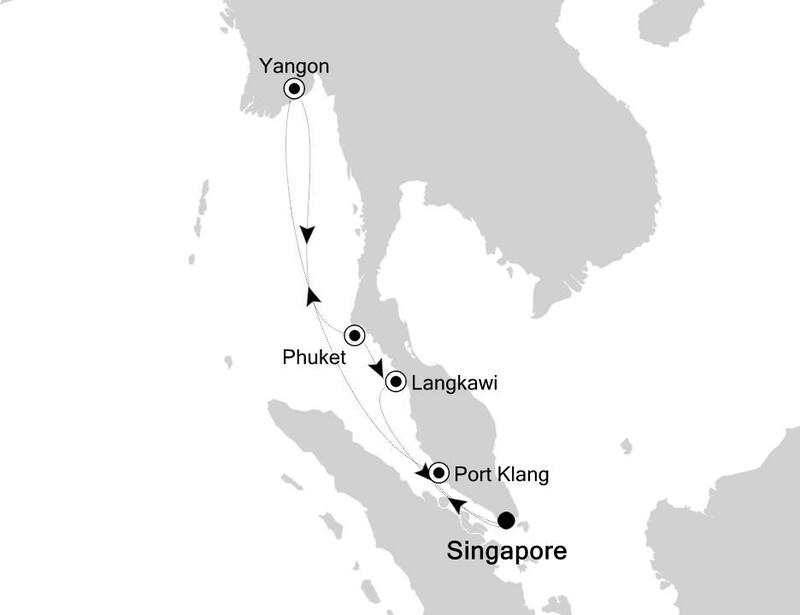 The largest city of Burma (Myanmar), Rangoon (now Yangon), is one of the highlights of this 12-day cruise that starts and ends in Singapore. The city is melting pot of cultures, peoples, and religions and Buddhist temples share the streets with buildings from the era of British colonial rule, while the long-isolated country looks forward to a brighter future. Two nights in this complicated though enchanting city will likely leave you longing for more. This itinerary also includes a stop at one of Thailand’s most beautiful islands, Phuket, and you’ll have a chance to explore the beaches and lush interior of the Malaysian island of Langkawi as well. Romantically referred to by the French as the Pearl of the Orient, Ho Chi Minh City (Saigon) today is a super-charged city of sensory overload. The madness of the city's traffic contrasts with tranquil pagodas, peaceful parks, quirky coffee shops, and whole neighborhoods hidden down tiny alleyways. Other highlights of a trip to Vietnam include Hoi An, a UNESCO World Heritage Site, where the architecture reflects a dizzying assortment of cultural influences. Hue, on the banks of the Perfume River, retains traces of its splendid past as the seat of the Nguyen dynasty—13 emperors were based here between 1802 and 1945. Few places in the world touch the emotions as readily as Vietnam, whether you are drawn to the bustle of Ho Chi Minh City (Saigon), the tropical beauty of Da Nang and its beaches, or historic Hanoi. This cruise visits some of the most beautiful spots on earth, including the exquisite Ha Long Bay, where some 1,600 limestone islands rise above the surrounding sea. At each end of your journey, you’ll have opportunities to explore two of Asia’s most dynamic and exciting cities, Singapore and Hong Kong. 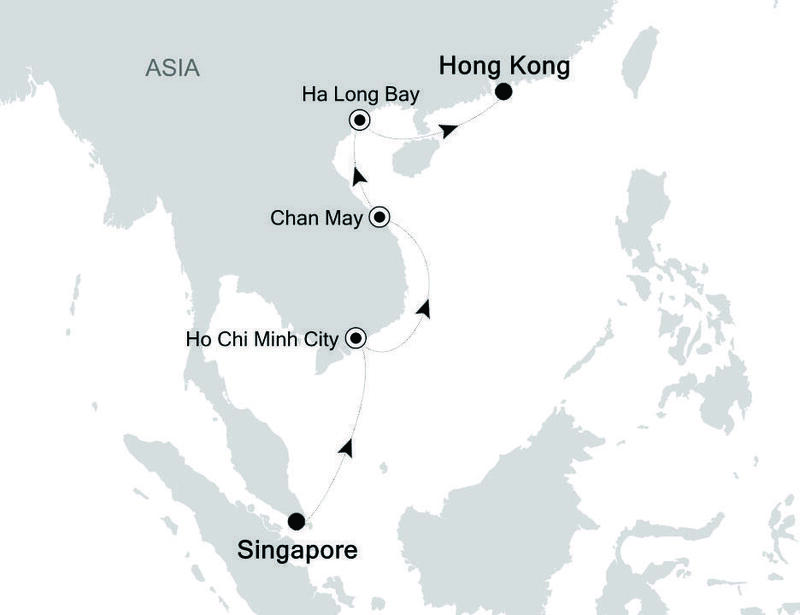 This 11-day cruise begins in bustling Hong Kong and ends in Singapore, but the heart of the itinerary is in Vietnam, which you will explore from the ethereal Ha Long Bay in the north to Ho Chi Minh City (Saigon), in the south, where you’ll spend two nights. Along the way you’ll enjoy the warmth of the tropical sun on beaches near Da Nang, and meals that will tantalize your taste buds, both onboard the ship and in the ports you’ll visit. It’s a delight for the senses, and a journey that will provide you with unforgettable memories. “A land of contrasts” is a description that can feel overused, but there is no denying it applies to Japan, a country that is a world leader in areas from technology to architecture and fashion and yet at the same time reverently protects and celebrates its ancient traditions and crafts. The country’s capital, Tokyo, embodies this aspect of Japanese culture. Sprawling, frenetic, and endlessly fascinating, it is home to age-old shrines and gardens that are pockets of calm among the soaring office buildings. Osaka pulses with its own unique rhythm: from Minami's neon-lighted Dotombori and historic Tenno-ji to glass high-rises and underground shopping labyrinths. For travelers who approach with their eyes open, Silversea cruises to Japan offer opportunities to understand the country’s culture in all its complexity. This 15-day itinerary includes three of Japan’s most fascinating cities: Tokyo, Osaka, and Hiroshima. You’ll visit sights both monumental and poignant. You are also, however, encouraged simply to explore these metropolises. 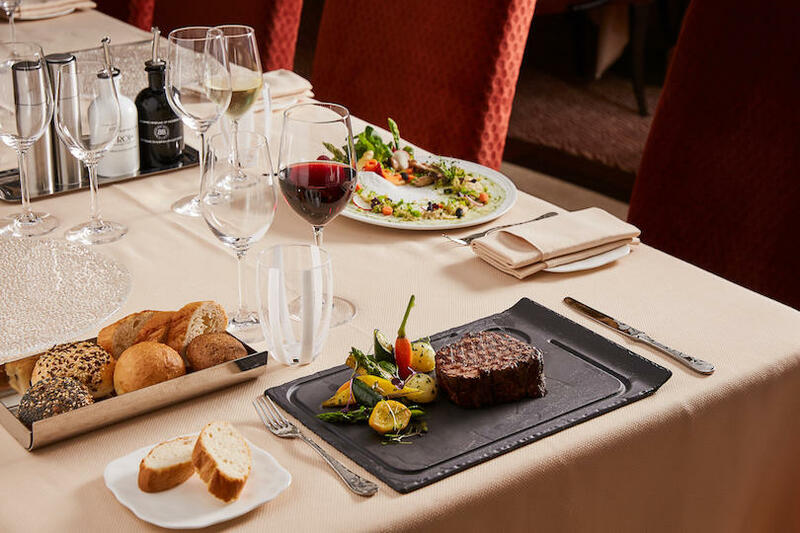 It’s likely you’ll end your adventure enjoying a meal you’ll never forget or coming across a neighborhood that will provide a glimpse of Japanese life beyond the neon lights of the central business districts. 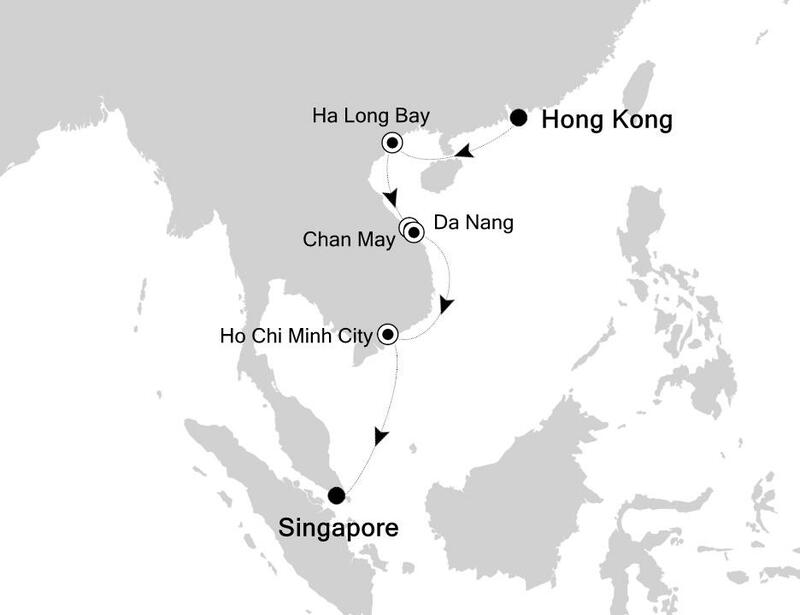 This cruises also includes stops at three of China’s most important and historic cities, Beijing, Shanghai, and Hong Kong. 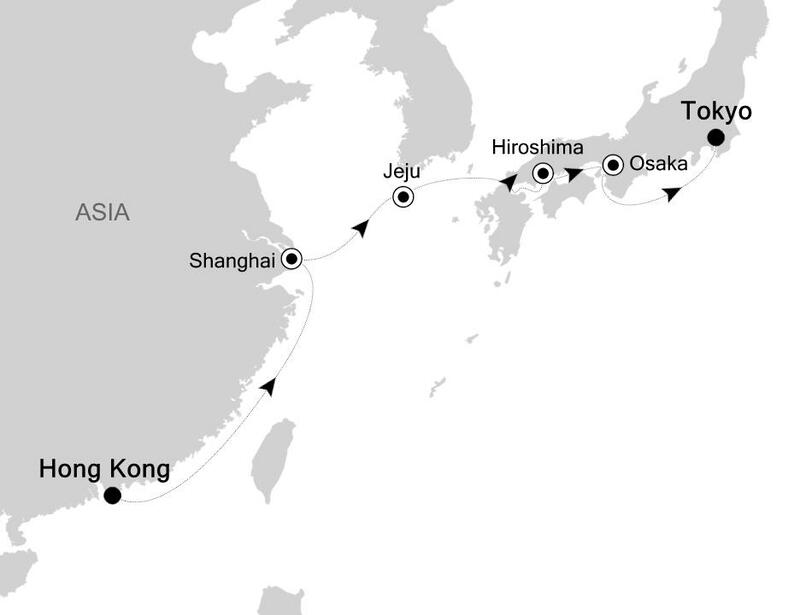 After embarking in Hong Kong and calling at Shanghai, most of this 13-day cruise is spent exploring Japan. You’ll start in the port of Karatsu, where the most famous landmark is the reconstructed 17th-century castle overlooking the bay. You’ll then continue to Hiroshima, where the Peace Memorial recalls the events of the August 1945 when the atomic bomb dropped on the city changed the course of history. A visit to Osaka provides an opportunity to explore one of the country’s most dynamic ports while Tokyo, where the cruise concludes, offers a dizzying mix of old and new. There are somewhere in the range of 17,500 and 18,300 islands in Indonesia. With that many, it’s perhaps not surprising that various counts disagree. From the bustling capital of Jakarta to serene Bali, from centuries-old Hindu sites like Borobudur to colonial era forts and churches in the Spice Islands, the archipelago presents a remarkable diversity of cultures, histories, and even wildlife. There is no better way to explore this nation of islands than on a Silversea cruise, which allows you to sail between the different worlds of Indonesia in style. 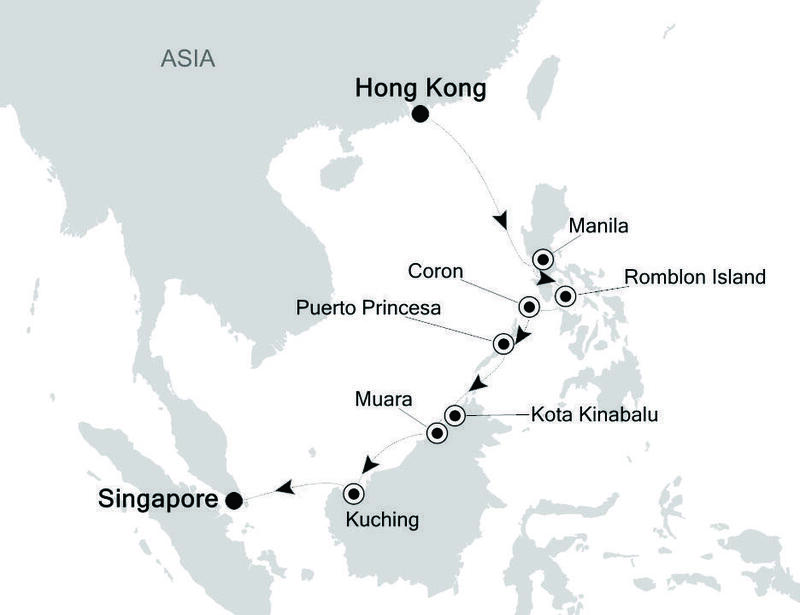 This eight-day cruise begins on the island-nation of Singapore, and then calls at four of Indonesia’s many islands. You’ll start in Jakarata, on Java, the country’s capital and largest city. Among its highlights are the old colonial capital of Batavia, where a few buildings from the period of Dutch colonial rule have survived to the present day. At Karimunjawa, you may feel like you have stepped into a lost-in-time island paradise while Lombok has been described as a quieter counterpart to Bali, the idyllic outpost of Hindu temples and emerald rice paddies where you will end your trip. This 16-day itinerary is made for adventurous travelers, calling at some of Indonesia’s more remote islands, many of them home to tribal peoples who still follow their animist beliefs and traditional way of life. You’ll start in Bali and end in Darwin, Australia, and along the way you’ll call at the Komodo Islands (home of the famous Komodo dragons), Banda Neira (one of the fabled Spice Islands), and Aiduma Islands, which provides a glimpse of a timeless way of life, the residents living in modest grass houses by the sea. A highlight for many is the stop at Agats, where you will encounter the Asmat culture who had little contact with the outside world until the middle of the 20th century. There are around 7,600 islands in the Philippines, home to both bustling Manila and quiet white-sand beaches protected by coral reefs. Even those who have traveled extensively in Asia will find the island nation a surprise. The only predominantly Christian nation in the region, the Philippines’ culture was profoundly shaped by Spanish colonial rule, as well as almost a half century as a U.S. territory. From bays dotted with limestone karsts to some of the world’s best dive spots, the archipelago’s beauty is legendary and yet manages to remain off the beaten path for most travelers. In 12 days, you’ll stop at five very different countries in Asia on this cruise perfect for travelers who want to explore some of the continent’s less-visited ports. You’ll start in bustling and picturesque Hong Kong before continuing on to the Philippines where you’ll have chance to explore both its bustling capital, Manila, as well as the natural beauty of islands like Romblon, Coron, and Palawan. While most of the island of Borneo belongs to Indonesia, you’ll call at some of the Malaysian states in the north, as well as the tiny sultanate of Brunei, one of the richest countries in the world (thanks to its natural gas and petroleum reserves). Your Asian odyssey will end in another of the world’s richest nations—glittering and cosmopolitan Singapore. 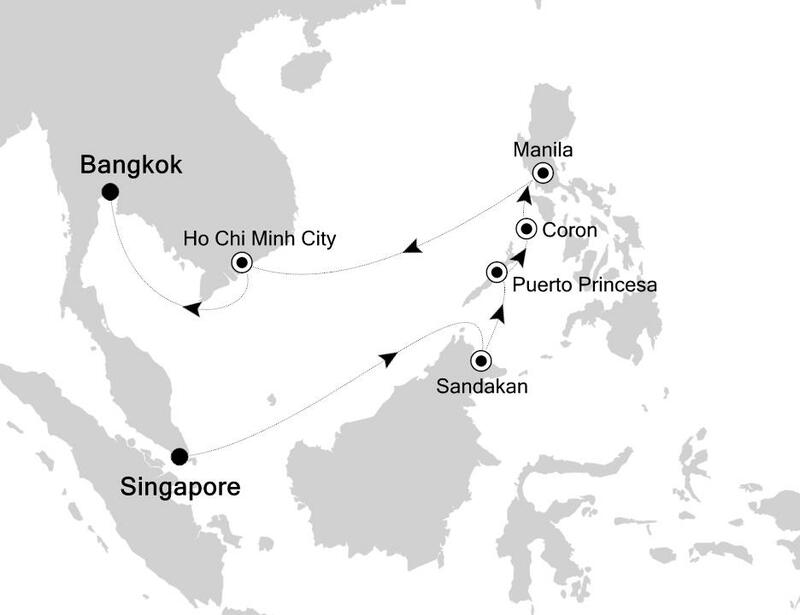 This 14-day cruise starts in Singapore, ends in Bangkok, and also calls at Ho Chi Minh City (Saigon), but at its heart is the Philippines. You’ll visit three different islands in the archipelago. Palawan is one of the country’s most beautiful islands, with emerald lagoons and limestone islets dotting its bays. Coron is a legendary destination among divers. If you’d rather keep your head above water, you can choose to spend the day on the beach or explore its jungle interiors. Finally, in Manila, you’ll have a chance to explore one of Asia’s most dynamic and fascinating city, home to both Baroque churches from the era of Spanish colonial rule and soaring skyscrapers. 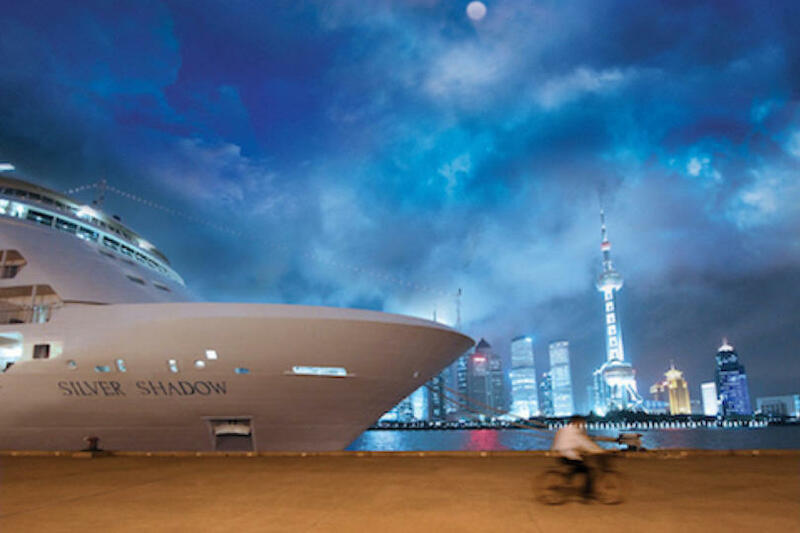 Several of Silversea's nine ships will call Asia home for the 2018-2019 season. 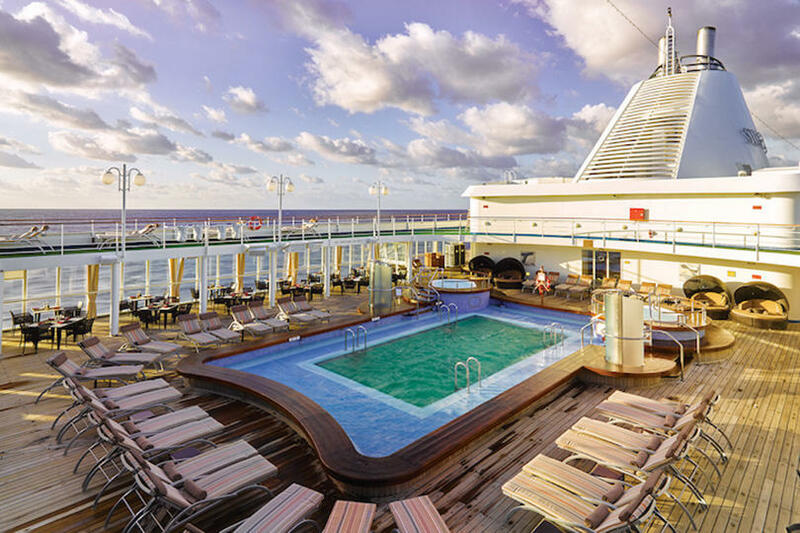 Our beloved Silver Shadow has room for only 382 guests, yet the amenities of a much larger vessel. You could also choose to experience the elevated onboard experience of the newest flagship, Silver Muse. If you would rather follow the path less traveled, you can join our Silver Discoverer Expedition Team in one-of-a-kind experiences in the most remote places of the Far East. 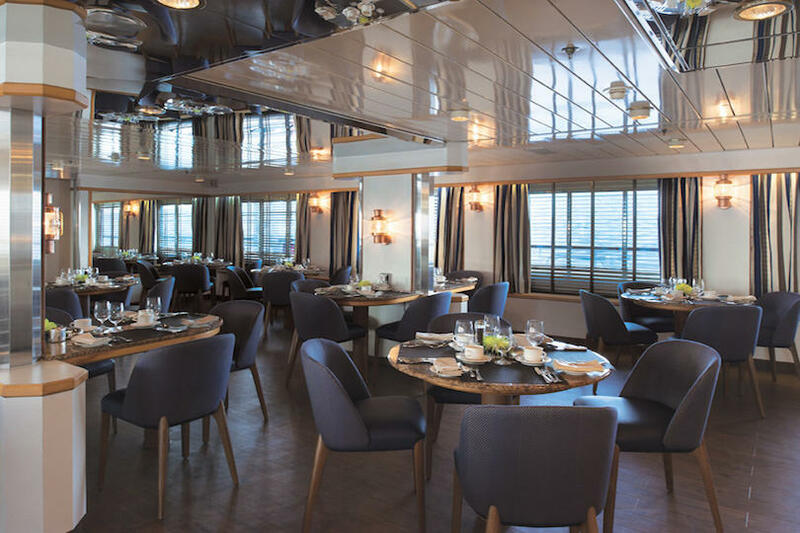 Silversea’s newest flagship, Silver Muse, is more than a cruise ship, it’s an inspirational work of art that offers eight dining venues, spacious outdoor areas, and up-to-the-minute technology. 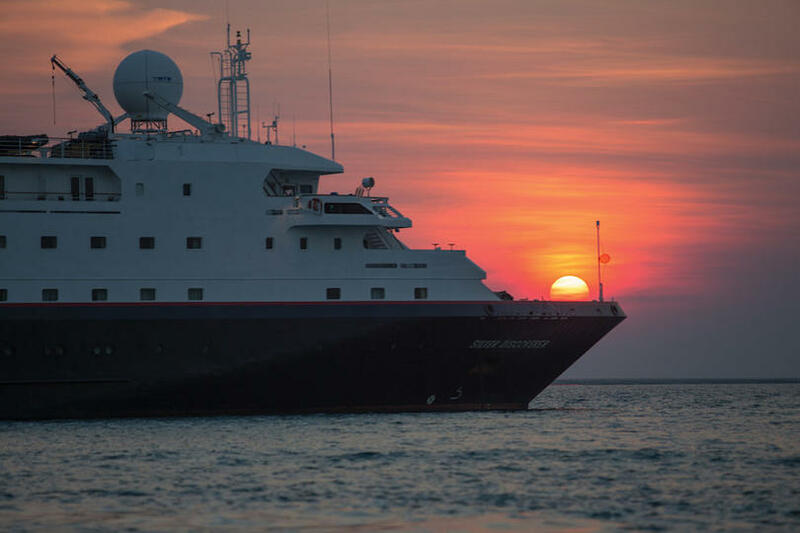 With culturally rich itineraries, an enthusiastic and dedicated expedition team, and all the amenities that mark Silversea’s superlative style, 116-guest Silver Discoverer is truly the savvy travelers’ choice. She's the perfect platform for viewing landscapes and sailing to remote ports, with all ocean-view suites and plenty of deck space to explore the coastlines of Asia and the archipelagos of the vast Pacific. 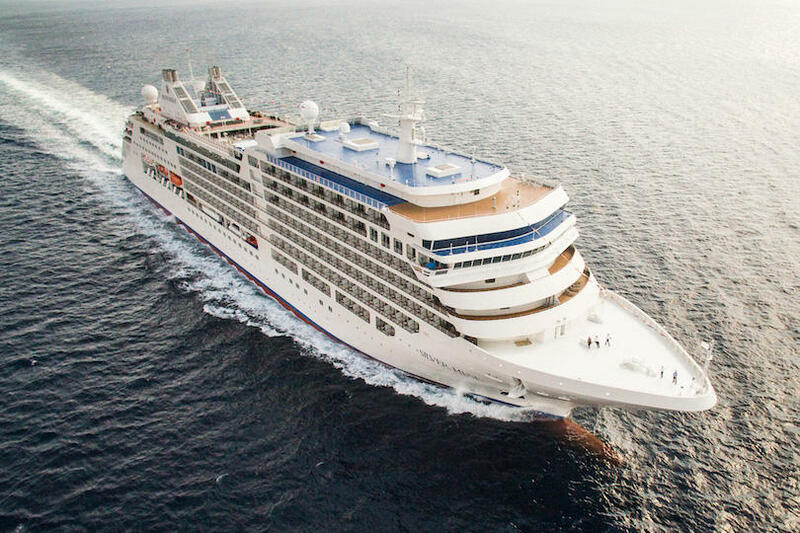 Slightly larger in size than the smallest ship of the fleet, Silver Shadow retains Silversea’s essence—spacious suites, a maximum of only 382 guests, superior service—paired with a lively cosmopolitan atmosphere and enhanced amenities. I agree to share my email address with AFAR and Silversea cruise expert to receive the offers.